Available as a four- or five-door compact, the Mazda3 comes complete with the features you need to cruise Kansas City. You don’t have to pay extra to enjoy to technologies such as MAZDA CONNECT™, Smart City Brake Support, or SKYACTIV® TECHNOLOGY — each of these features comes standard. 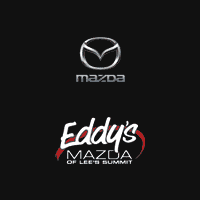 Check out our Mazda3 lease deals below for Lee's Summit drivers, and then get pre-approved online for a Mazda lease! The Mazda3 4-Door and 5-Door are both available in three trim level configurations: Sport, Touring, and Grand Touring. The Mazda3 comes with a variety of stellar standard features — including push-button start, a 155-hp 2.0L 4-cylinder engine, steering-wheel-mounted cruise controls, and split-folding rear seats. Fold the rear seats down to expand the Mazda3 5-Door cargo volume to 47.1 cubic feet. Contact us to test drive the Mazda3 near Independence and Overland Park!